The Ministry of Transport has submitted the draft of a new circular that includes regulations for passenger transport (by car) through software such as Uber and Grab. “Adjustments in the new circular would like to balance the management of passenger transport with electronic contracts through software such as Uber and Grab and traditional taxis as well as to be appropriate with the demands of practical management,” Minister Nguyen Van The told the Tuoi Tre (Youth) newspaper. The new circular will request transport companies to meet 10 conditions, including: having a business licence or business registered certification to do electronic business and having certification from the Ministry of Industry and Trade (MoIT) confirming that applicants have completed registration (both Uber and Grab haven’t met this requirement yet). Importantly, software providers must sign contracts to provide software using services for transport companies that have transport licences instead of the current cooperation agreements. Transport companies must display their logos at a minimum of 90mm x 80mm in both front and back windows. To ensure tax collection, the circular clearly states that software providers and transport companies must provide all information related to trips and electronic bills to both the passengers’ accounts and the General Department of Tax (GDT), under the regulation of the Ministry of Finance. For enterprises who would like to use electronic bills, the circular requires 11 conditions, including using software which has already been certified by the MoIT, sending electronic bills to the GDT and providing telephone numbers to customers for emergencies. Cars under nine seats, which are used for electronic-bill transportation, must not be more than 12 years old, same as the regulation for traditional taxis. “The presence of Uber and Grab has provided commuters with more options and convenience and local authorities with more management experience. However, there remains a lack of specific conditions for them to operate, thus leading to unfair competition", Vu Anh Tuan, Director of the Viet Duc University’s Transport Research Centre, told the newspaper. 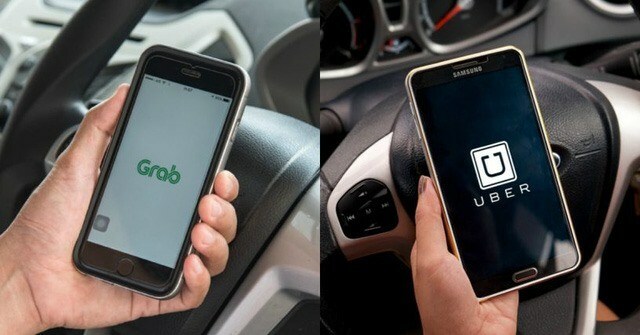 “If they want to continue doing business after two years of a pilot scheme for ride-hailing apps in Vietnam, Uber and Grab should have a legal representative, pay tax, report their activities, pay social and health insurance for drivers and foster the skills of their drivers,” he added. He also suggested that local managers should limit Uber and Grab’s number of vehicles to ensure fair competition with traditional taxis and reduce traffic congestion. According to the Ministry of Transport, the four localities that have registered to officially join the pilot scheme are Hanoi, Quang Ninh, Khanh Hoa and HCM City, whereas Da Nang has yet to take part in. Of 36,800 member vehicles, there are 21,600 in HCM City, 15,000 in Hanoi, 62 in Quang Ninh and 100 in Khanh Hoa.